Not too long ago I paid a visit to my local Coldstone Creamery ice cream shop and ordered my most favorite ice cream flavor they serve - birthday cake batter ice cream with rainbow sprinkles. 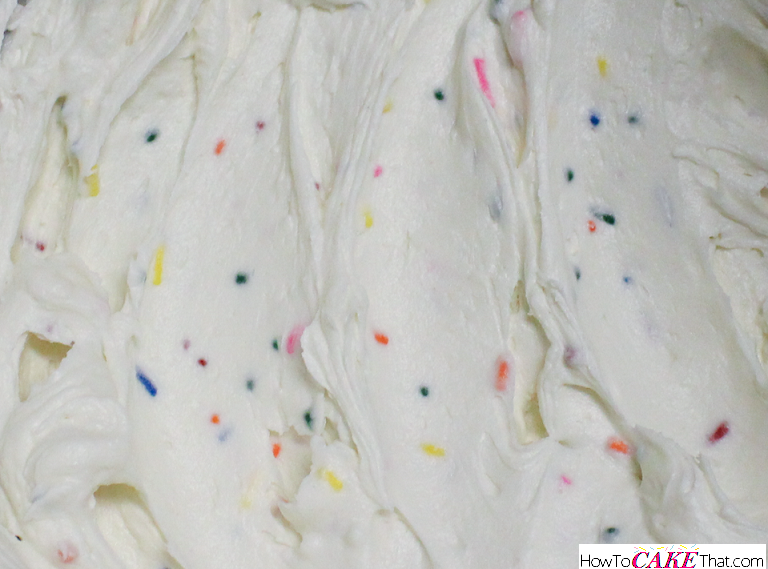 And not only does the ice cream have a delicious vanilla cake batter flavor, Coldstone takes the time to mix the rainbow sprinkles into the ice cream... making it like funfetti ice cream cake batter. Each bite has little chewy bits of sprinkles! Yum! And this yummy treat inspired me to create a new frosting flavor! 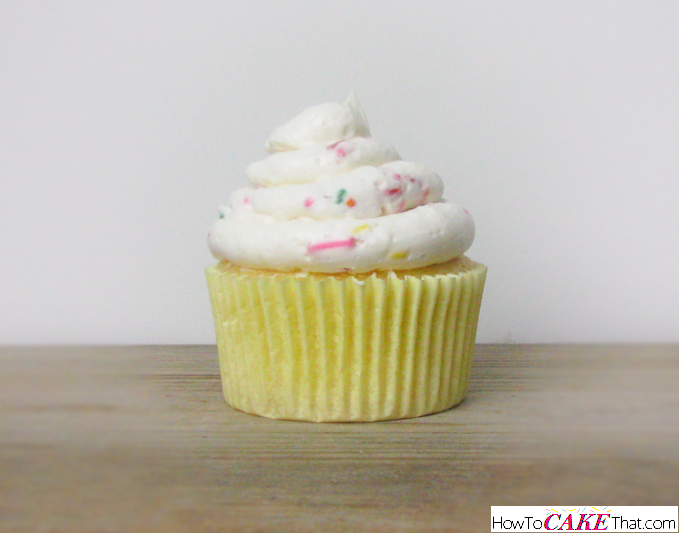 I was able to create a very yummy funfetti frosting (with sprinkles mixed in) with a hint of birthday cake batter flavor! I hope you enjoy!! 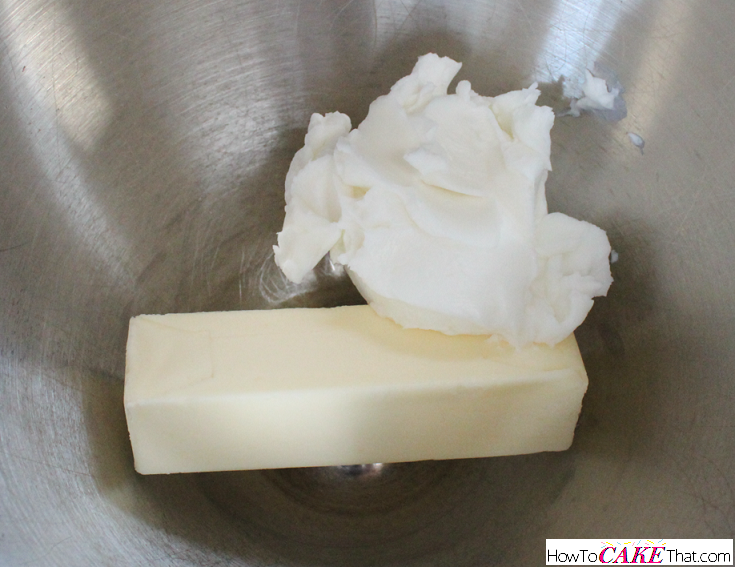 To begin this recipe, place 1 stick (4 ounces) of unsalted butter into a mixing bowl. Be sure butter is room temperature. 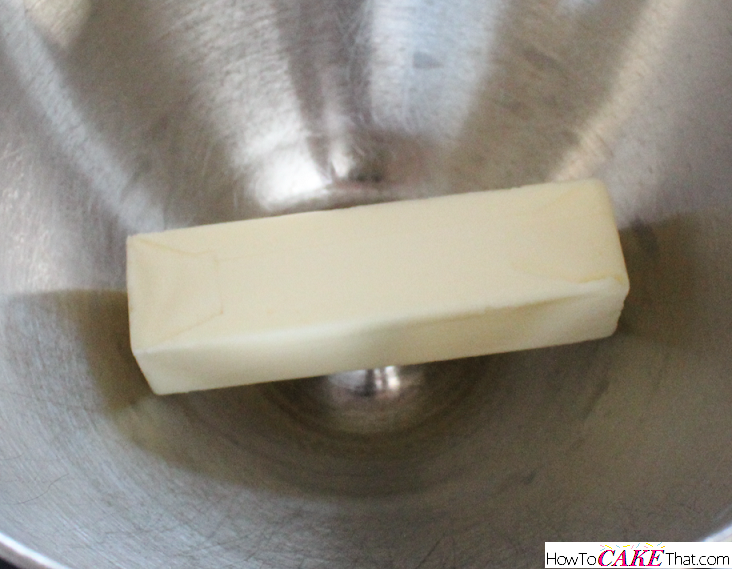 Next, add 1/2 cup of high ratio shortening to the bowl. 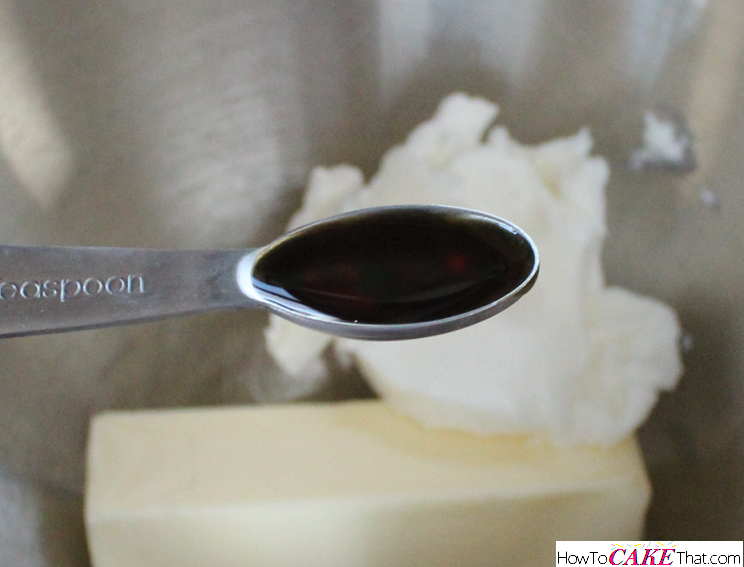 Next, add 1/2 teaspoon of pure vanilla extract. Using a paddle attachment, blend all ingredients together on low speed until well mixed. 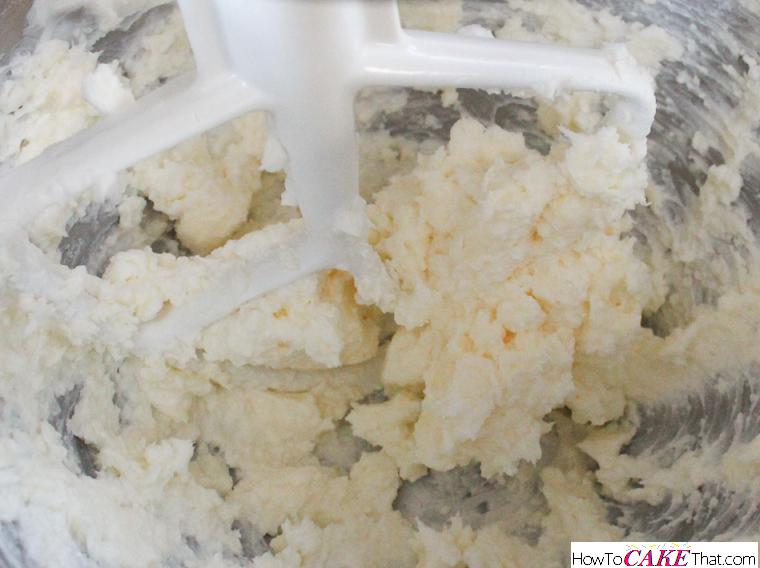 Next, sift in 4 ounces of dry Duncan Hines or Betty Crocker French Vanilla cake mix. 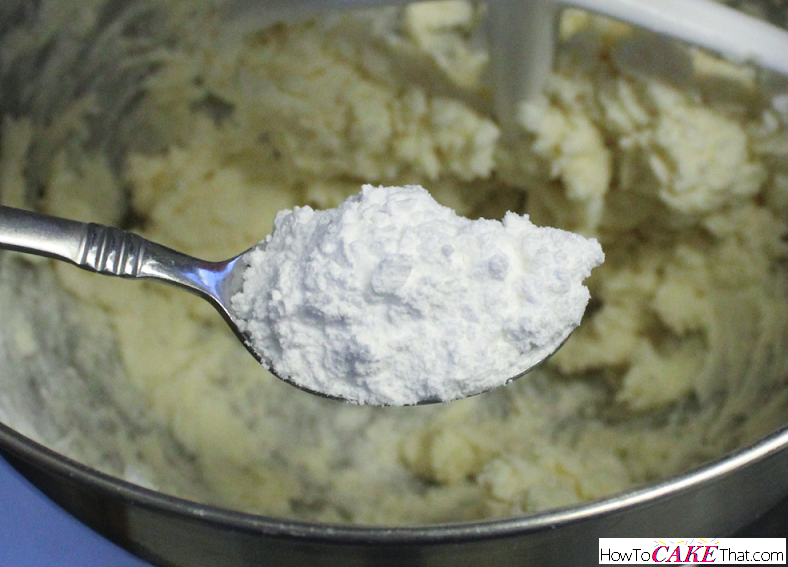 Add in 7 ounces of powdered sugar, a little at a time, mixing on low speed after each addition. 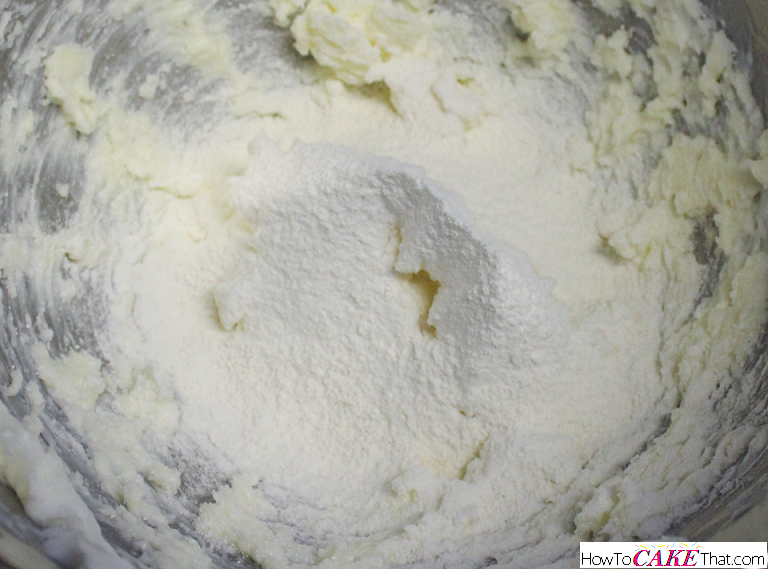 Then add 6 to 7 tablespoons of milk to the mixture. 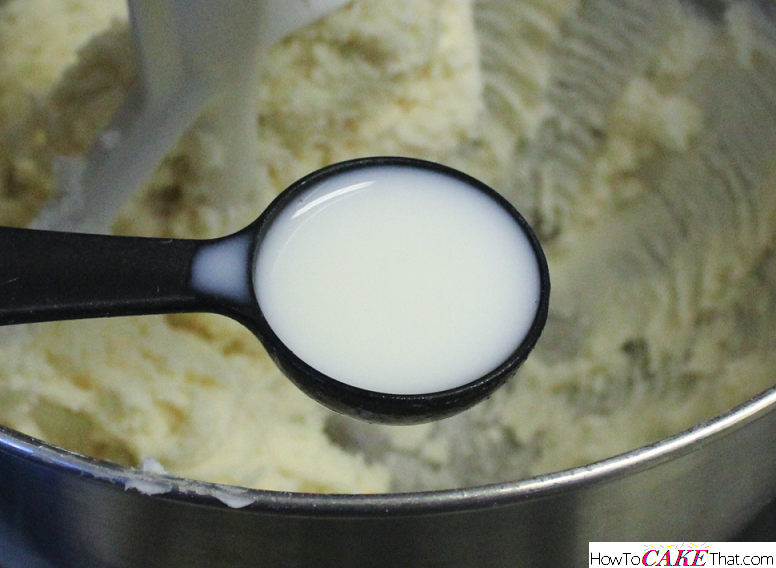 Mix on low speed until milk is just blended into the frosting. 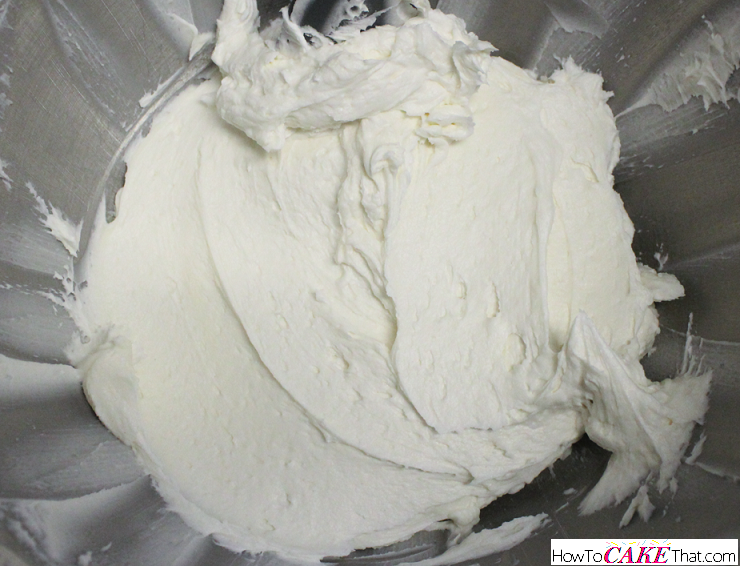 Mix the frosting at high speed for about 5 minutes, until the frosting is light and fluffy. 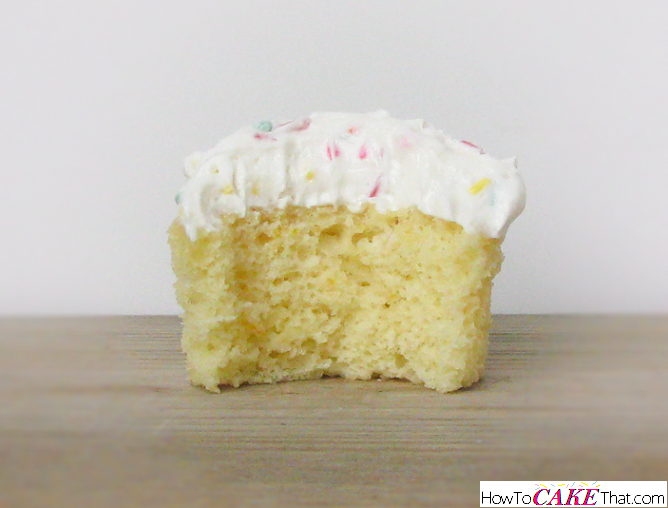 Remove mixer bowl from stand mixer, and add 2 to 3 tablespoons of rainbow sprinkles to the frosting. 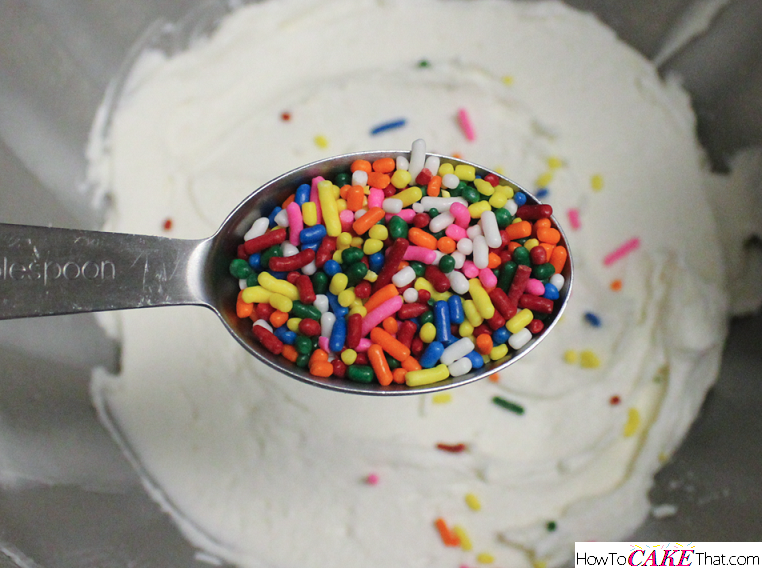 To keep sprinkles from breaking up, stir them by hand, mixing them in with a rubber spatula. Mmmmm... tiny little sprinkles in every bite!! Yum! !